1. 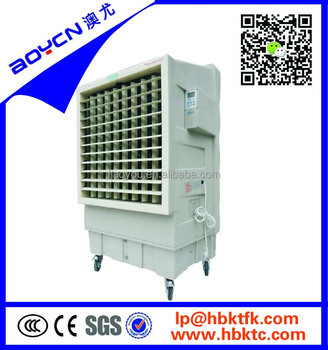 The cooling obtained by the unit is almost all natural. 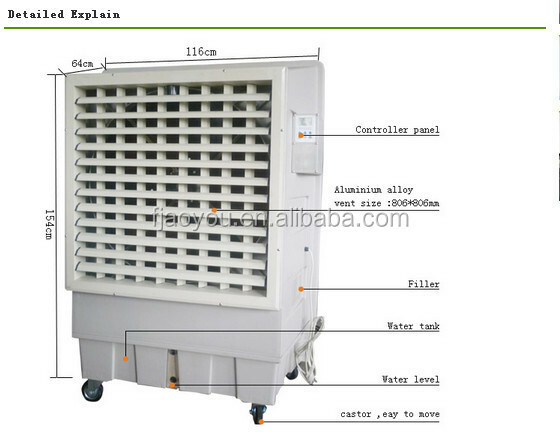 Multi-speed motor maintains set temperature and maximizes comfort. 2. No specialized maintenance. 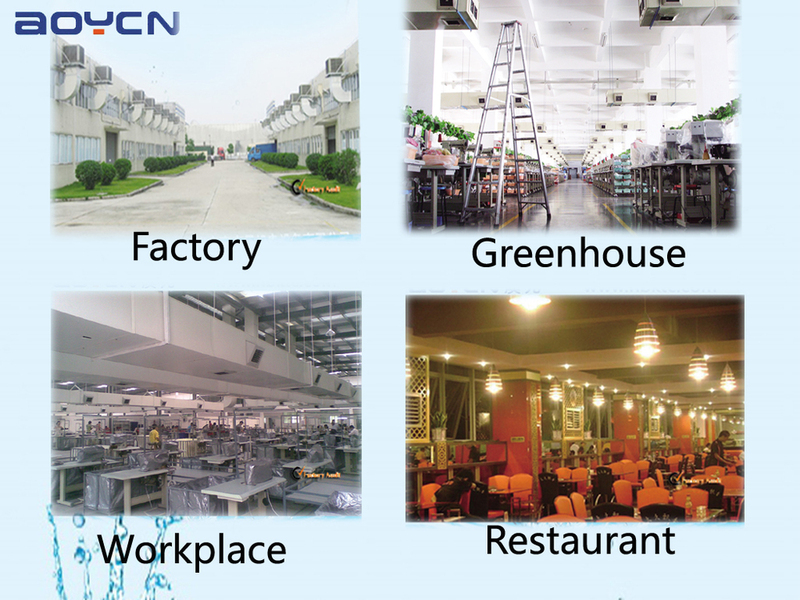 The only maintenance needed is simple steps that do not require expensive maintenance. 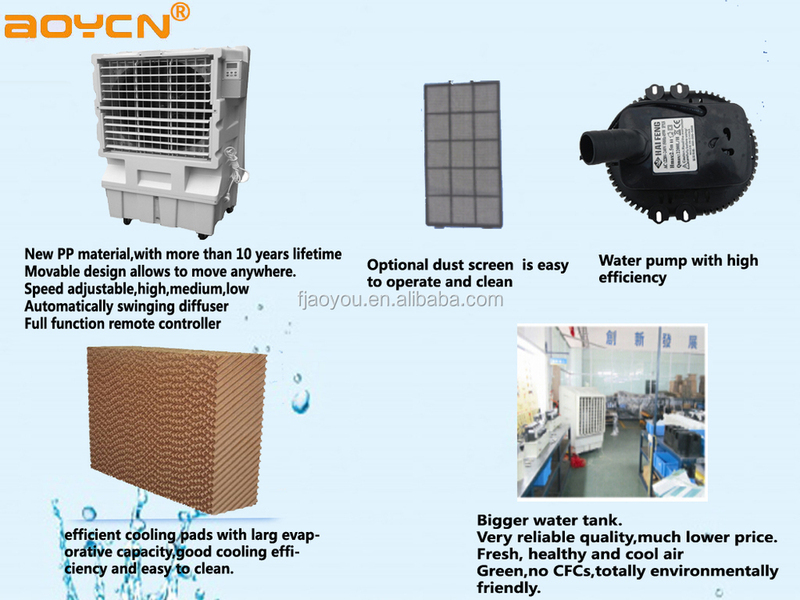 Water filter, Static filter to clog dust and dirt. 3. 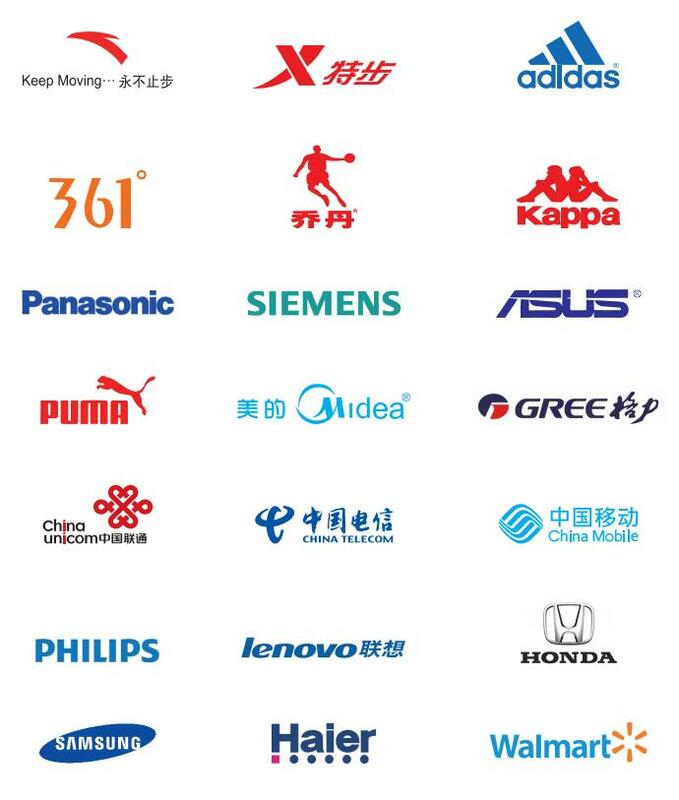 80% reduction in energy consumption. 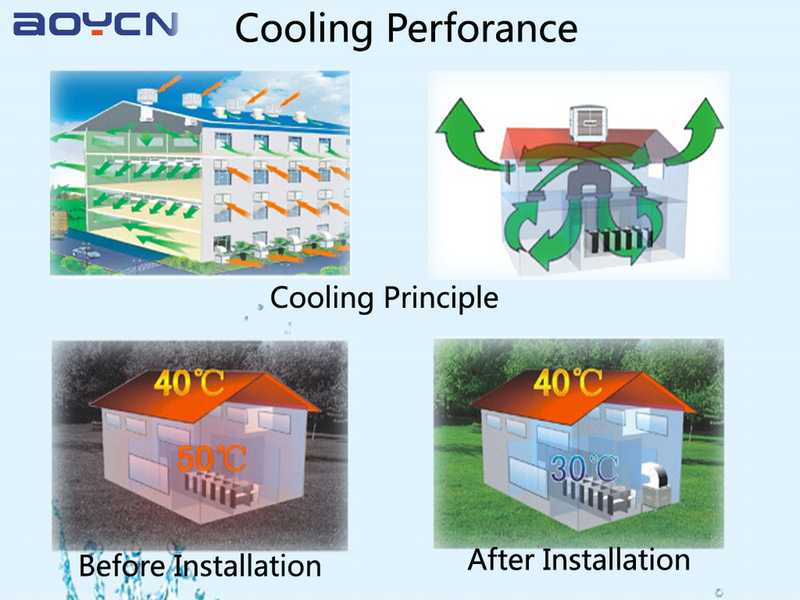 It requires only 1Kw per hour to cool a 120-150m2 factory. 4. 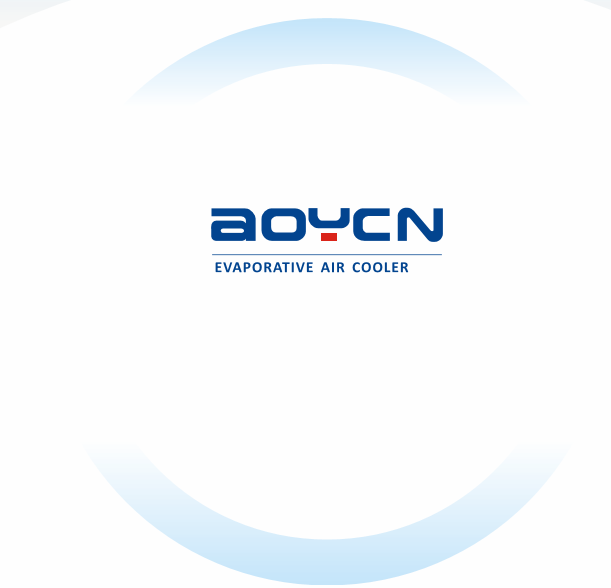 With high quality evaporative filter cooling pad, good effect of evaporating and reducing temperature, easy to clean, edge binding protected and durable. 6. 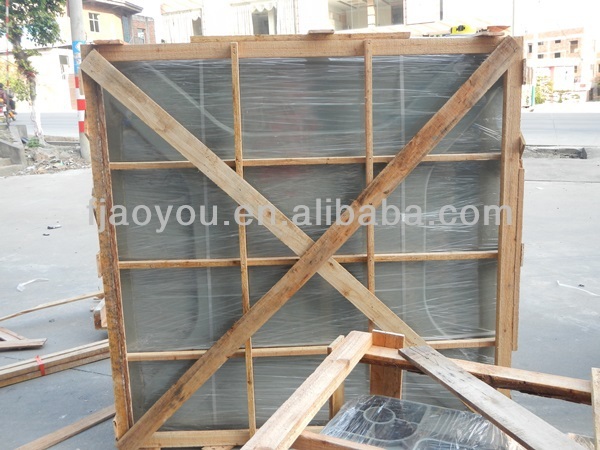 Completely new material PP plastic cabinet, age inhibiting, never rust, long life duration. 7. 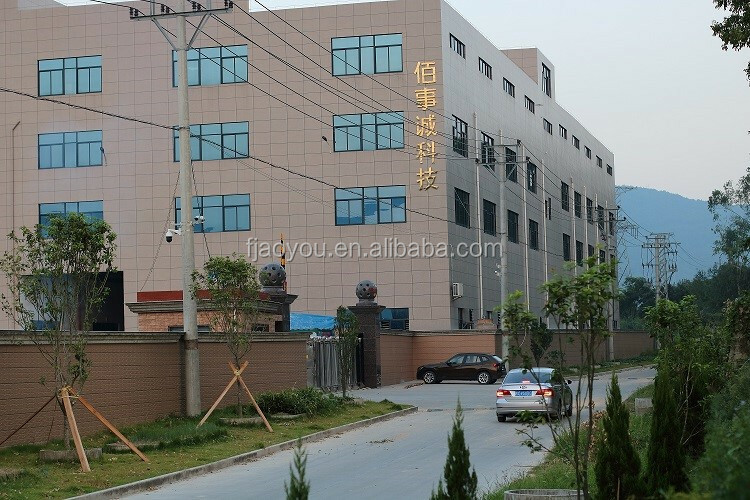 Stylish designed LED display, Control Panel and Remote Control. 8. 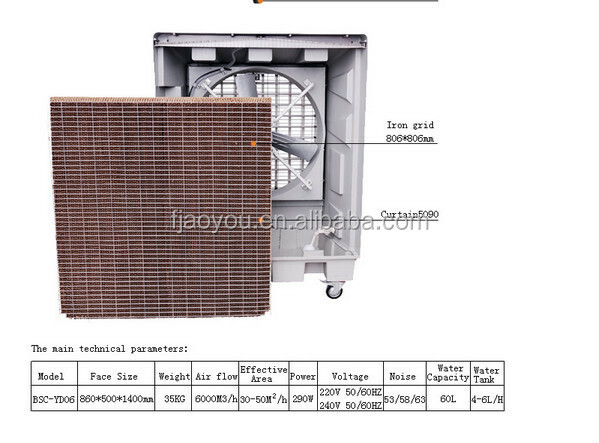 Grille design with rain waterproof type, effectively prevent the rainwater entered, use safety. 9. 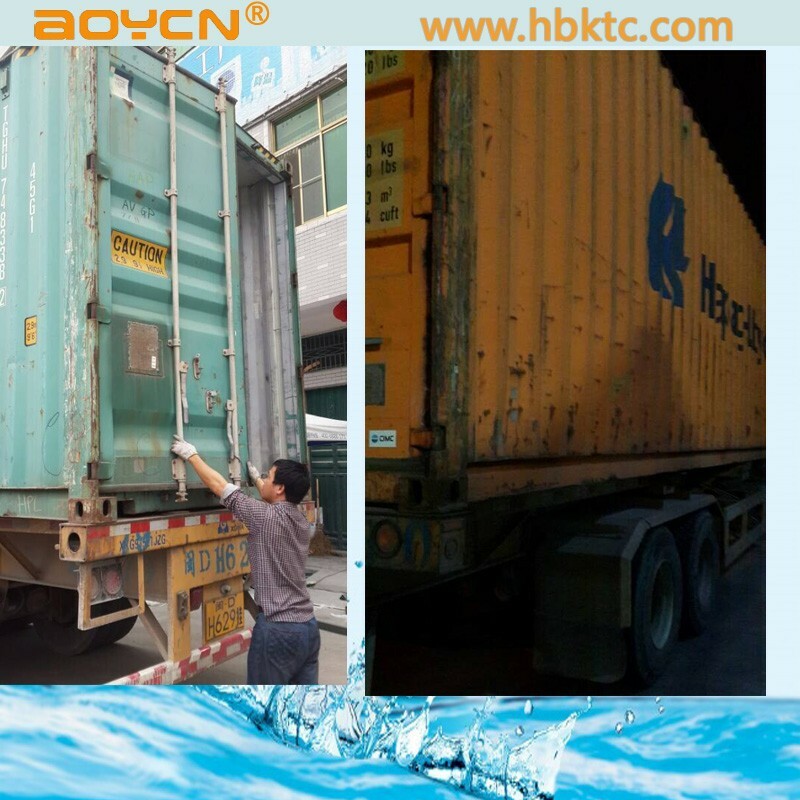 New Water Spray components, unique water storage tank design, water distribution even, not easy to block. 10. 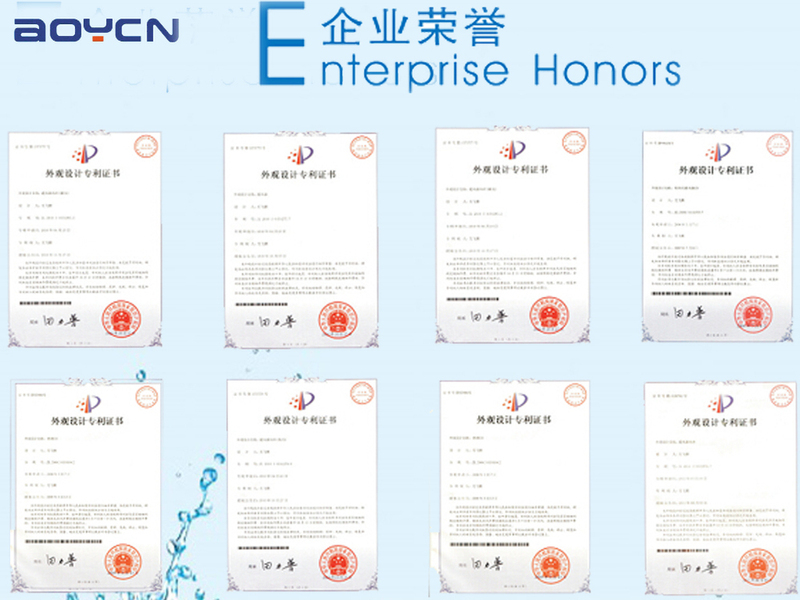 Healthy environmental protection, comply with RoHS, Reach international environmental standards, excluding easily allergic and toxic substances, non – toxic and odor.